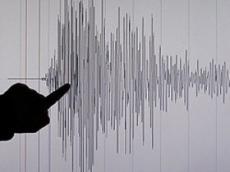 Experts from the US will install 14 new seismic stations on the territory of Azerbaijan, Republican Seismological Survey Center (RSSC) of the Azerbaijani National Academy of Sciences told Trend Aug. 28. The stations will be installed within the framework of the research project studying great depths and seismotectonic features of the Greater Caucasus region, which will be implemented until 2020. Scientists from Georgia and the USA take part in the project. "Presently, 44 seismic stations operate in Azerbaijan. Our American colleagues will install 14 new temporary stations. It is not excluded that they can be transferred to our center in the future. Everything will depend on the terms of the arrangement," the center said. "Installation of additional ground seismic stations at Umid, Bahar and Gunashli fields in the Azerbaijani sector of the Caspian Sea, as well as in the village of Jojug Marjanli of the Jabrayil district can be realized only when the funding is provided," the center added. The main station is located on the territory of the Academic township in Baku, where through a satellite, information is regularly received from the vibration sensors installed in seismically active sites of Azerbaijan. After processing the data, the system provides information on exact location of an earthquake, its time and strength.